I’m excited to launch our first magazine and would like to ask you, our Can Too Foundation community, to help us come up with a name for this quarterly digital publication. 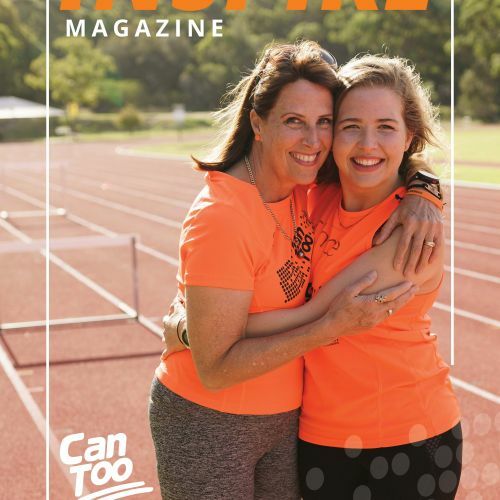 Please share your magazine title ideas on our Can Too Run and Swim Facebook page: by Friday 1 March for your chance to win a pair of Brooks running shoes. The theme for our first edition is making goals. Read on to find out how Can Too participant Mark Ellis has overcome debilitating injuries to be able to tackle the Can Too Beyond goal of swimming the English Channel. Meet our new RunWest coach James Constantine, he shares his tips on how to conquer a half marathon distance. Find out what goal events you can do with Can Too, learn some fundraising tips from Oscar Trimboli and Jennie Star who have raised nearly $100,000 for the Foundation and more. You can access the entire publication here including what our goal events are this year, what the secrets are to fundraising from our featured stars, Dani Lombard's take on the Queenstown running festival and more. See you around in orange.